Who is Fernando Reguerio and what is his crazy marketing scheme? This last week I was in the Chicago area for Brown Paper Tickets. And a highlight was certainly my visit with the (USARS) Chicago Red Hots and their general manager Fernando Reguerio. After a great career as a professional soccer star, he had a long relationship with the Windy City Rollers, and his wife is the fabulous Kola Loka, but that is not what this is about. I do not intend to reveal all of his marketing strategy, but he intends to use so many interesting techniques and programs to increase interest and attendance for the team’s games. He also has found a way to eliminate drama, allow the players to make some money and more, but you have to contact him to find out about that. And he has reached out to both Brown Paper Tickets (www.brownpapertickets.com) and me to utilize the services that we provide to everyone (but so few ask!). 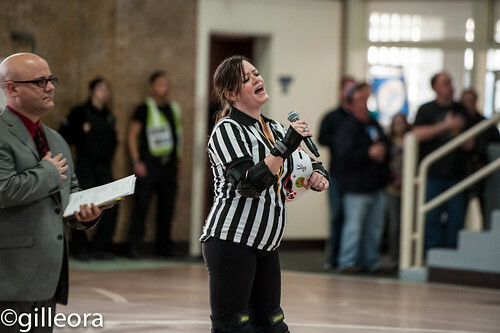 And of course as a former Roller Derby promoter (hello, out there!) I will do as much as I can personally to help him succeed. I am not going to get involved in the argument of whom the teams are skating for: themselves or the fans. I will only quote the genius of Bob Noxious who has worked with dozens of leagues in many countries: “Once you have decided to charge admission to your events, you are in the entertainment business”. Now we at BPT will work with you if you ask for help in promotion, marketing, donations, fundraising, maximization of your tickets sales and more and more. And we have been judged the best ticket company to work with (and it doesn’t cost you anything!) by a number of independent organizations, and our customer service is unmatched. We recently received an “Oscar” for our 24-hour live service from the organization of ballet companies in the San Francisco Bay Area (we are not just about Derby). Now to Bill Graham’s quote: have you carefully thought out the presentation of your event, how the public is engaged, the professionalism of your attraction and will the public love it? do you survey, use the resources for in-depth analysis from your ticket company, and on and on. So, I have promoted over 3000 Derby games, sport events (including soccer), concerts and more. And recently I was asked to help from two different leagues (be still my heart!). And Bob who of course is with BPT also is available, and Michelle Sunnyday with us also skates Derby. It is absolutely amazing to me that with revenue being so essential to the survival of most leagues that ticket sales, marketing, promotion often are on the back burner……and many of the many hundreds of leagues that utilize us do not maximize our resources……we are so unusual in that the better you promote us, and use us, the more revenue you receive……and I can give you a little secret on how to immediately sell more tickets for your upcoming game after the present one. And if you are coming to Rollercon do not miss our seminar on all aspects of presenting and promoting successful Roller Derby…Bob and I in room 114 at 2 PM on July 24. And if you are not using us, I can honestly say as the former founder of BASS Tickets and the Executive Vice President of Ticketmaster, that you are not maximizing your potential reach to customers, old and new. Yes, today’s Derby for many is “for the skaters by the skaters”, but how about a little help from your friends? And by the way, when you walk into Fernando’s hideaway in Cicero, the fans are treated so well and are so happy, but the main thing is the game is so exciting all the way through….In the long run, it is the event that attracts, brings in the fans, and hopefully brings them back. Has your attendance declined? time to re-evaluate. and here are some photos by Gil Leora from last Saturday’s game at Cicero…..no players standing around….full engagement by the players and by the fans. Oh, I am jerry@brownpapertickets.com, and Bob is Bob@brownpapertickets.com……that is all you need to know, except for Michelle@brownpapertickets.com. Good stuff, as always, Jerry. I look forward to seeing the Red Hots play.